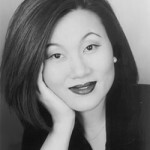 South Korean soprano Jegyung Yang is in her second year of Washington National Opera’s Domingo-Cafritz Young Artist Program. This season she appears with WNO as Despina in Così fan tutte (Emerging Artist Performances), and the Shepherd Boy in Tosca, and with the National Symphony Orchestra as Marzelline in Fidelio. Byung-Soon Lee, soprano, a native of South Korea, received her Bachelor of Music degree at Yon-Sei University in Seoul, Korea. She won various competitions in Korea–the KBS (Korean Broadcasting System) Young Artist Competition, Dongah Music Competition, and many more. She received her Master of Music degree at Peabody Conservatory of Music of the Johns Hopkins University Baltimore, Maryland where she studied with Ruth Drucker and Mark Markham and completed the prestigious Artist Diploma program.